Located along Stevens Close off Stevens Road, Casa Uno is 3 minutes from the Orchard Road entertainment and shopping belt. Casa Uno is near to International Schools and prestigious club such as The American Club, Raffles Town Club and The Pines Country Club. 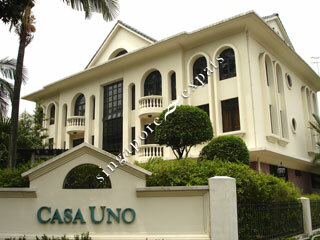 Casa Uno is accessible via the nearby Pan Island Expressway (PIE) to all parts of Singapore. Driving to the Central Business District takes about 15 minutes. Boutique apartment. Suitable for expats 7 yuppie couples. No facilities.